There are some girls who love shoes, some who love makeup, some who love clothes…. I am one of those girls that loves all thing girl! 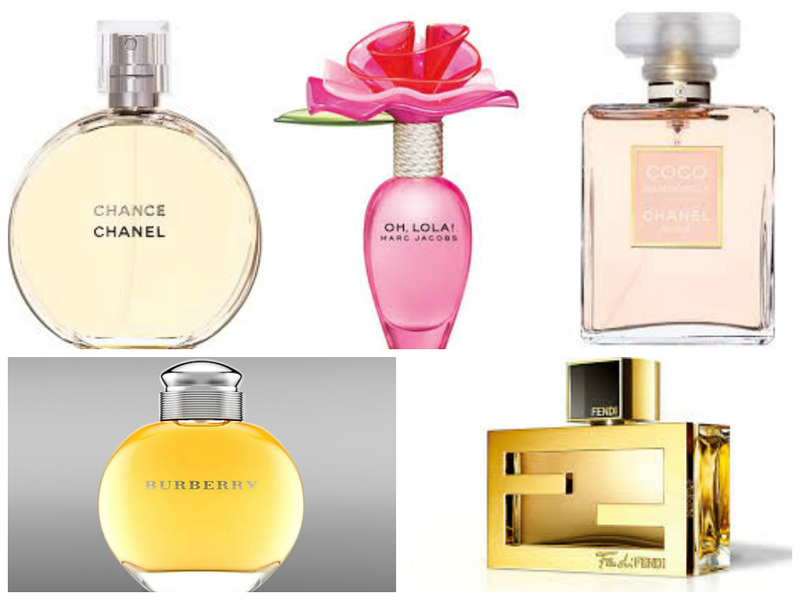 I LOVE perfume and always have several to choose from because depending on my mood will dictate what I wear! NOTE** I grabbed descriptions from the websites! Daring and bold, yet sensual and elegant….Inspired by the irrepressible spirit of the young Coco Chanel, the modern Oriental fragrance entices with an utterly feminine composition, expressing refined sensuality and incredible freshness. I love this classic scent… know that it is very strong and a spritz or two goes a LONG way! Flirtatious, charming, and sparkling with lighthearted personality, this fragrance leaves you flirting with your senses! It bursts open with a bright and whimsical effervescence. At the heart of the fragrance is the playful scent of peony. As the scent dries down, a flirty and elegant trail gives you an unexpected touch of fun that makes you smile! This one is so fun and girly! Love it for girls night and even date night! A light fragrance, filled with vitality and energy. Spray lavishly over the body–if you dare. Classic scent that is great for work and a night on the town! A fruity fragrance with top notes of blackcurrant and fresh green apple. Combined with heart notes of cedar wood, jasmine, moss and sandalwood, the fragrance has a rich and sensual tone. Musk and vanilla smooth the scent for a gentle warmth. I LOVE this scent in the winter time. It is so calming and smooth! Notes include pear, black currant accord, tangerine, pink peppercorn; the heart is comprised of damascena rose and yellow jasmine; and the finish is of soft leather accord, patchouli. This scent is another great one that is great for everyday wear! ALWAYS remember to spritz on your skin to see how it will REALLY smell on you! Previous postCCs, BBs and Primers. Oh my!